Foul Stench formed in 1990.. with the original line-up of King Stench (vocals/guitar), Rotting Limb (bass), and Smushed Cranium (drums). 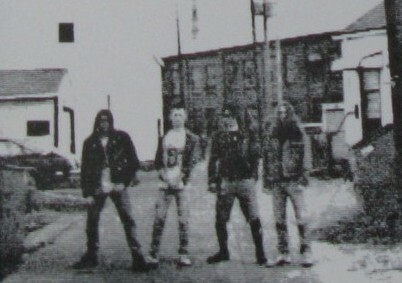 The early days were more about partying with friends and playing loud music, and eventually Rotting Limb left the band. Foul Stench first demo Jiz Mark is released in 1993. Recorded at Cromagnon Recording Studio. Dayton, Ohio. January 19/20/21 (1993). Engineered by J. Buben. Produced by The Stench. Xeroxed cover. Recorded onto studio tapes.